I spent a while staring at her trying to decide how to colour her, then inspiration struck. 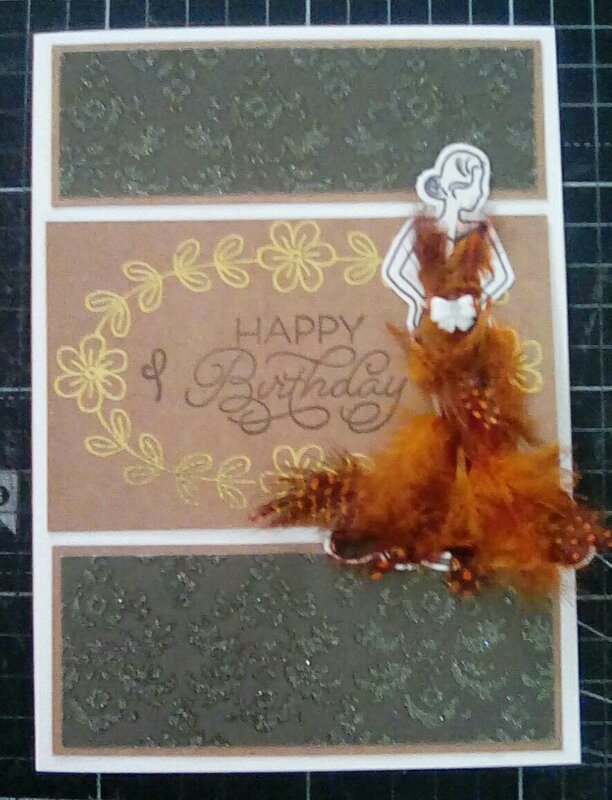 Texture and colour in one, use feathers! 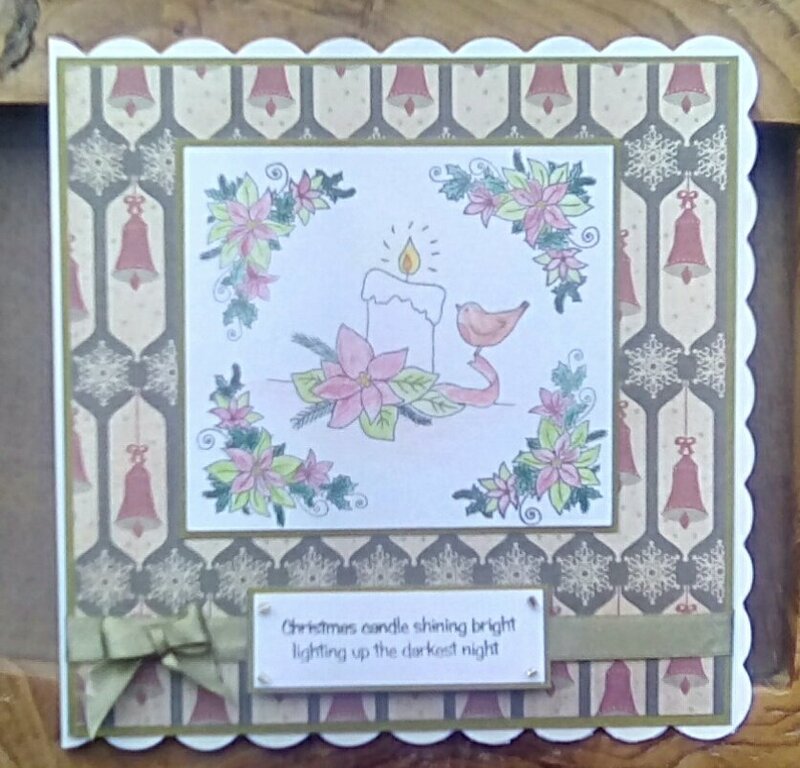 I have a lot of coloured feathers which were cheap in The Works, I like using them to embellish Deco style cards, but I’d never thought of using them as a more focal element. 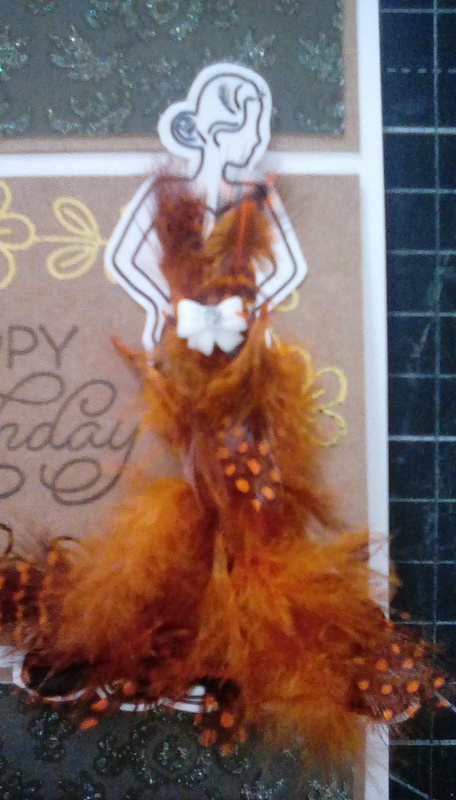 I used Tacky Glue to draw over the dress on the image, then lay feathers over. It looked bland when I’d done, so I added a shiny bow across the waistline and I was really pleased with the result. 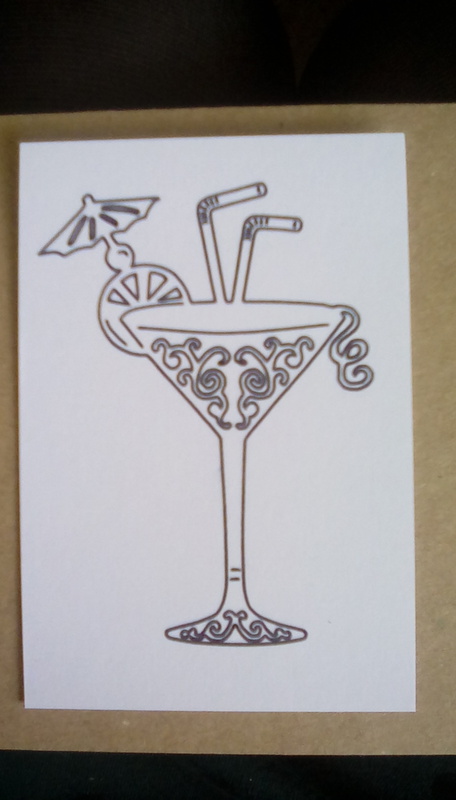 I wanted to keep my card elegant and Deco in style. 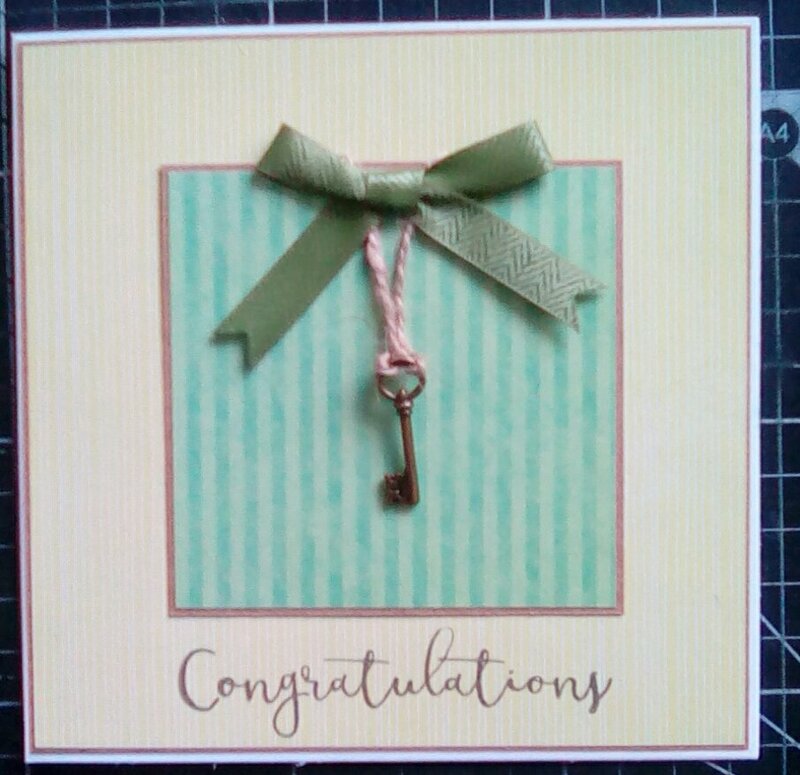 I really liked the focal sentiments I tried last week, but I needed something more subtle. 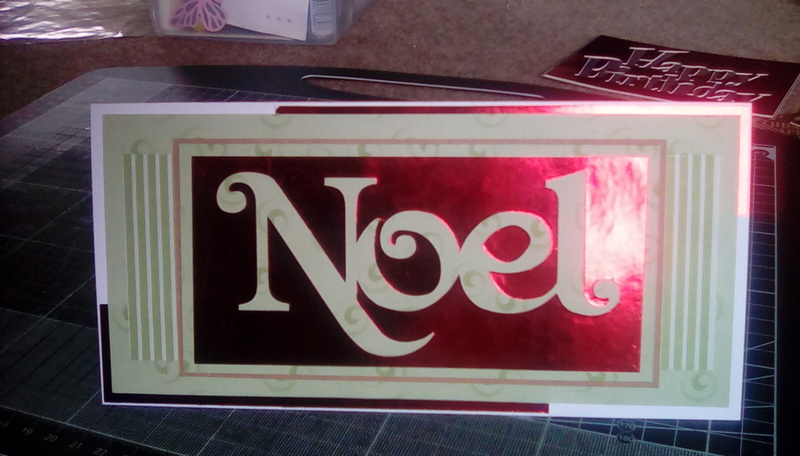 I got the foiling kit for my Scan’n’Cut, but hadn’t played yet. 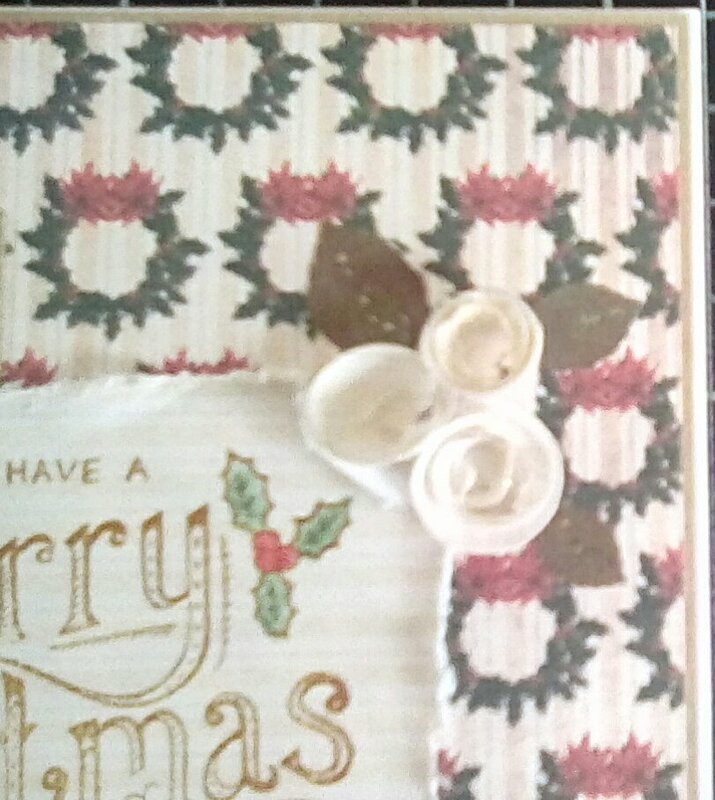 I used Brother Canvas to download and resize the flower ring, then foiled it. 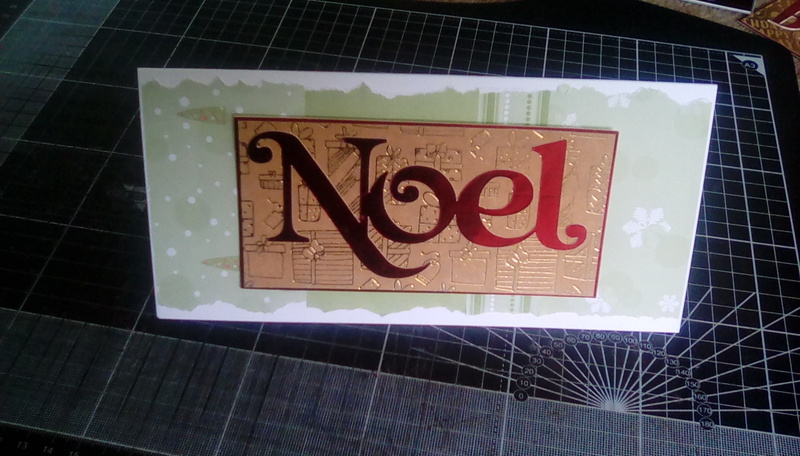 The foiling is really easy and I was thrilled with how it looks, although I did manage to foil my sticky mat and waste a lot of foil. Oops. 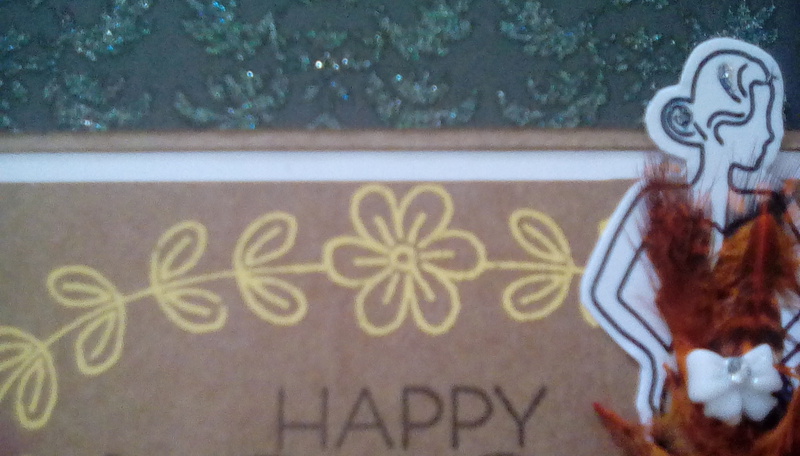 I stamped a Happy Birthday sentiment in the middle. 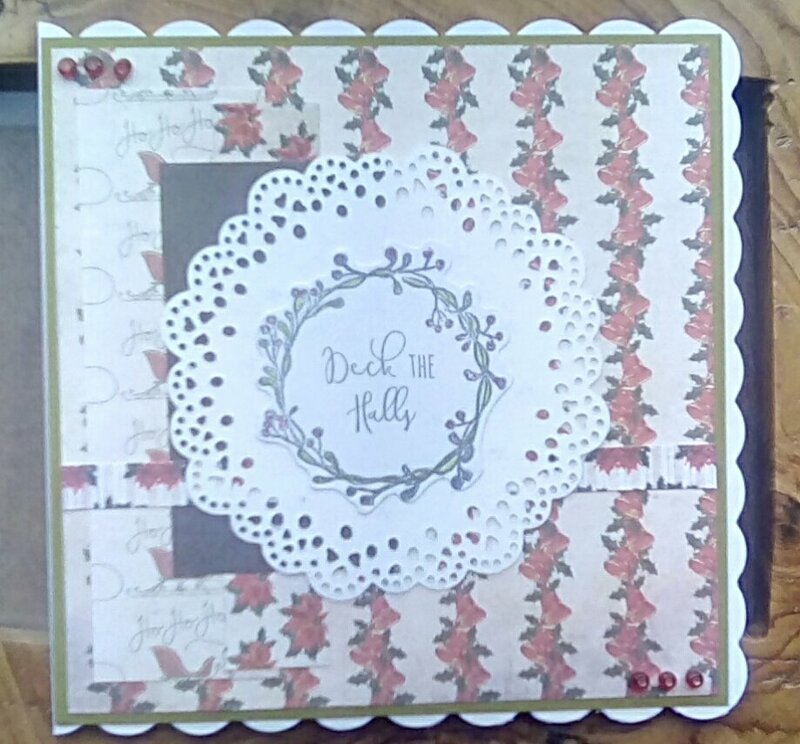 This panel was as wide as my 7×5 card blanks, so works as a focal element.I attached the Deco lady to the right hand side of it, covering some of the foiled flowers but leaving the shape of the pattern obvious. 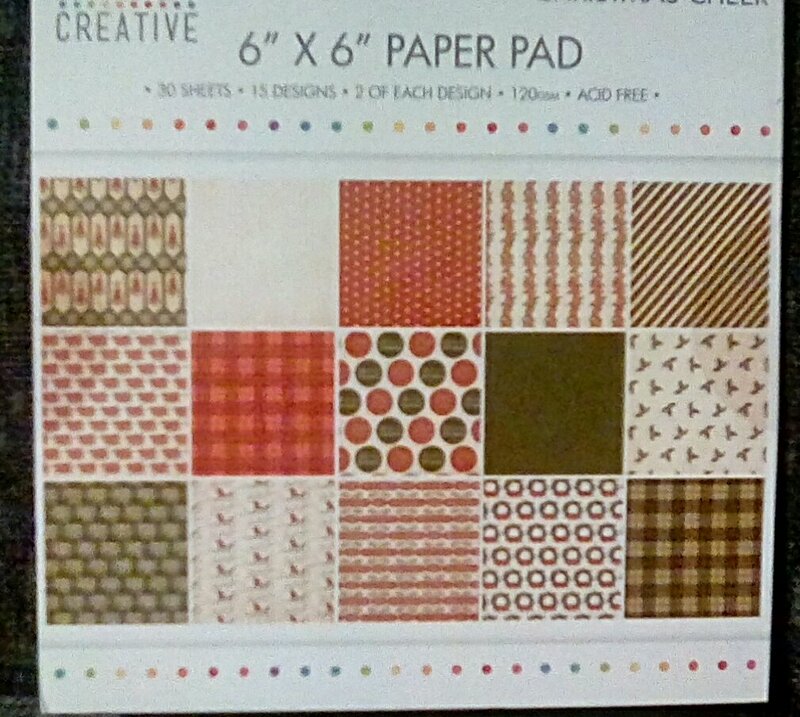 The paper I chose was from my First Edition Noir et Chic pad. 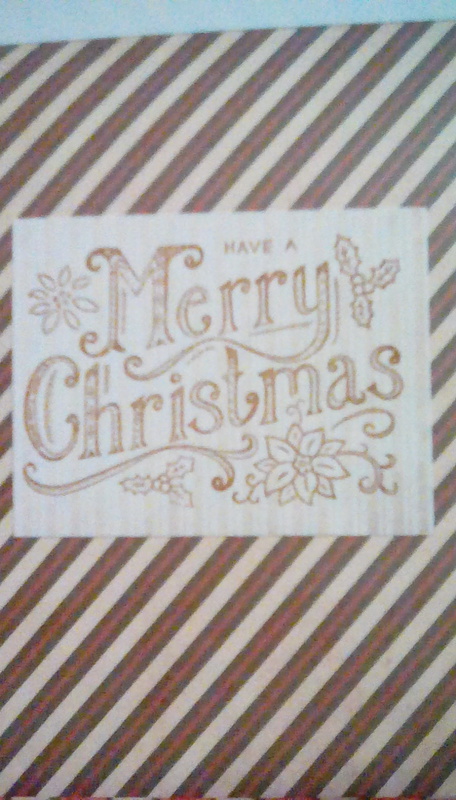 Fairly subtle but glittery, and a 1920s style design. 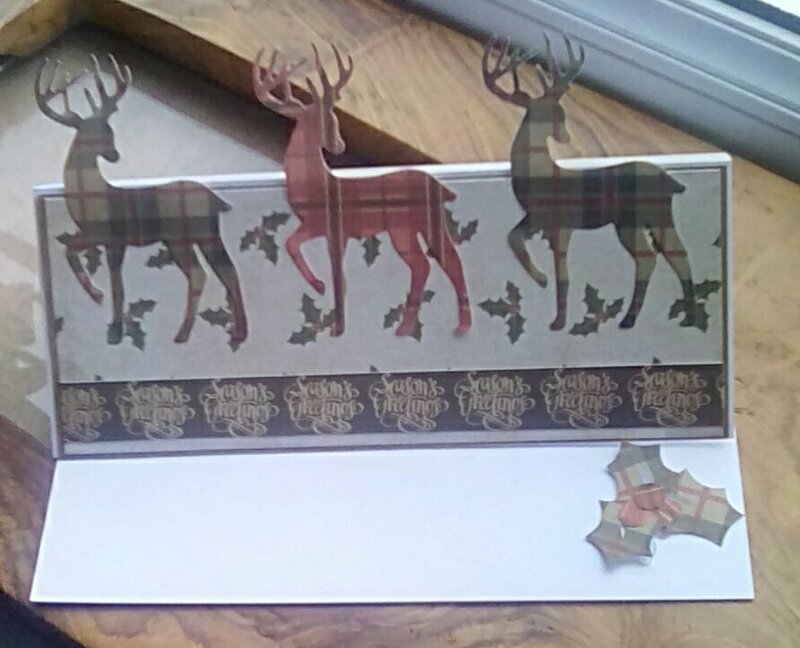 I didn’t want a heavy background so I decided to create two further panels, meaning that the white of the card blank was able to show through in more places and stop the card feeling too heavy. 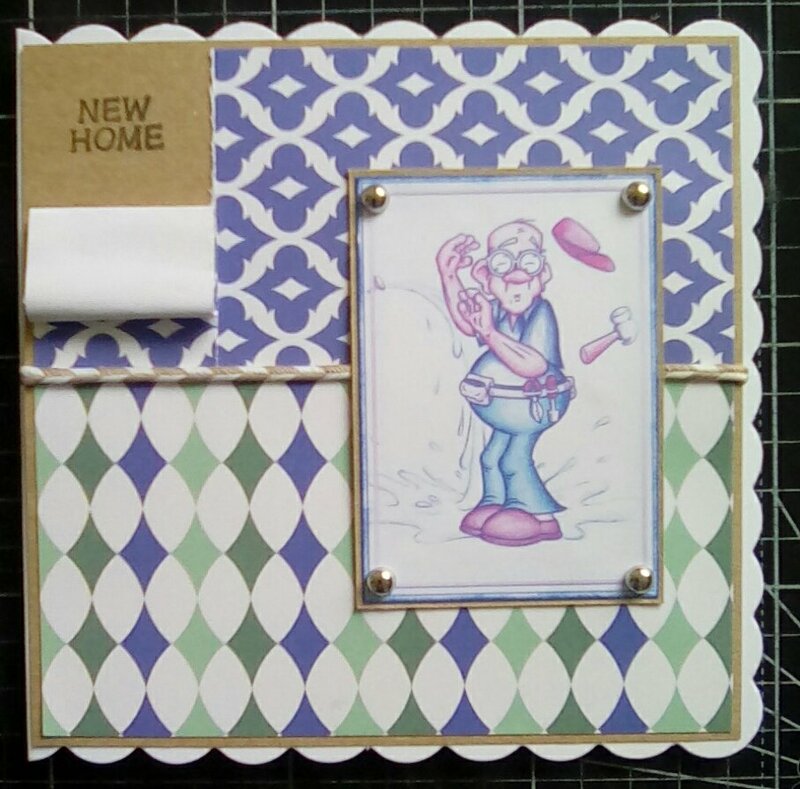 This entry was posted in cards, craft on July 28, 2017 by Isn't She Crafty. 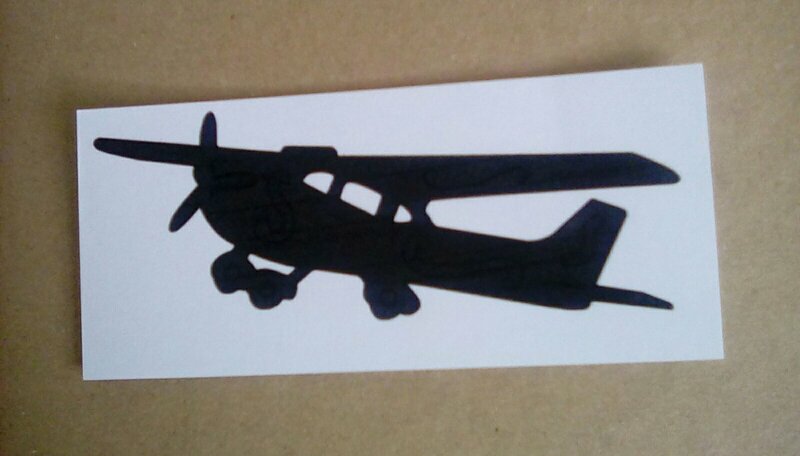 I’m ashamed to say that my Scan’n’Cut spends a lot of time sitting gathering dust. I love it, but it’s a bit too clever and daunting for me, and the mats lose their sticky very quickly (perils of being owned by a cat, his hair gets everywhere) which has cost me a few projects to my consternation. 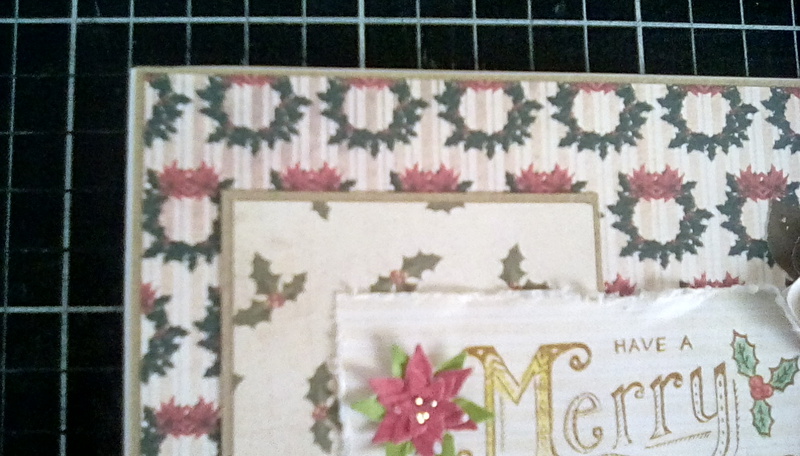 Most of what I use it for is cutting mats and layers, it’s great being able to cut perfectly with my own increments, not ones dictated by die size. 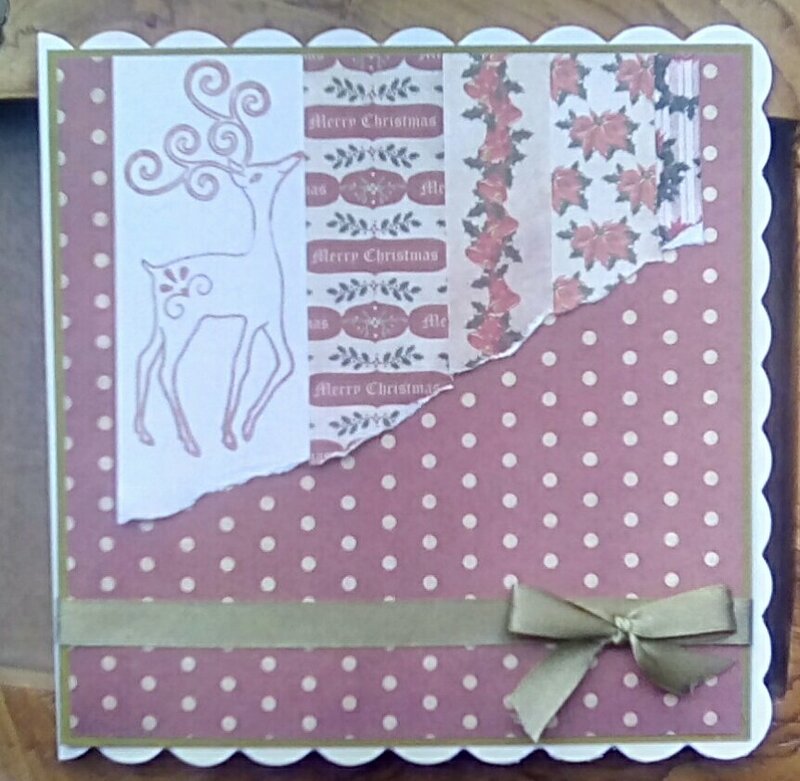 Every so often I have good intentions about using it more, often when I see it being demo-ed on Create and Craft. Today was one of those days. 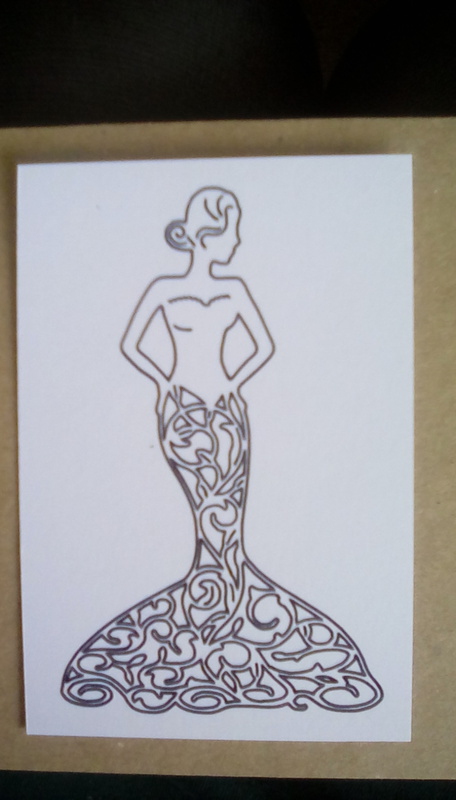 First, I drew for the first time. 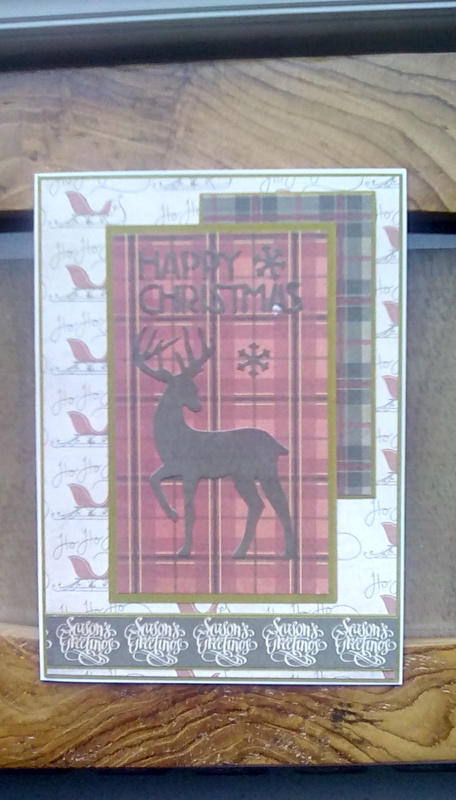 I chose three images from the Glitz and Glam USB which I fancied as stamped images and set it to drawing them on plain white card. I tried the colouring option on the plane, it’s covered a lot of the detail link although paler than the original lines so they’re still visible. At first I was unmoved but looking at these again I am increasingly keen on the effect. 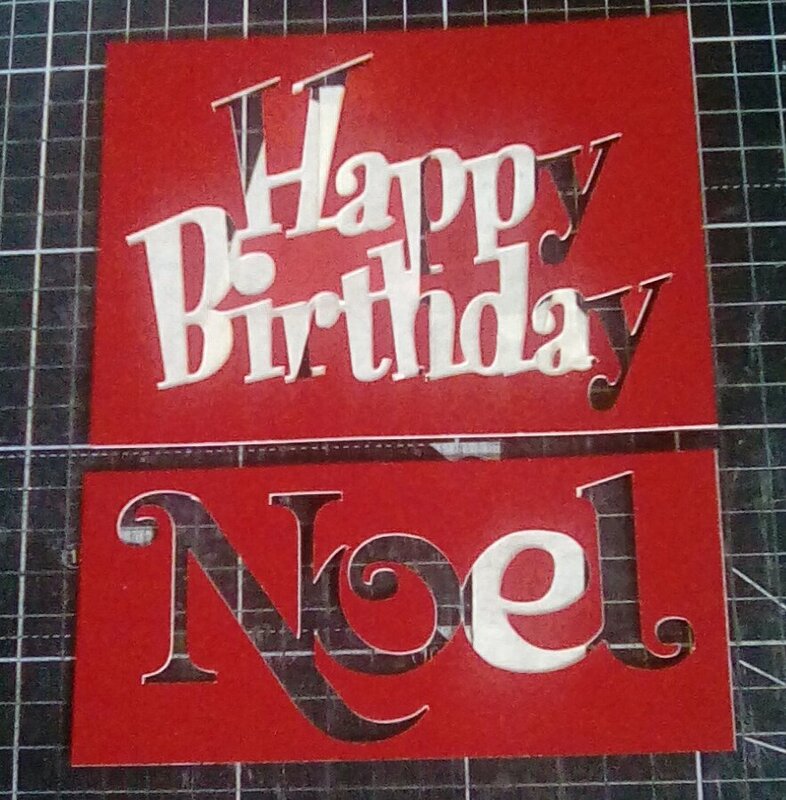 Next, I thought I’d try emulating cards I like which focus on one large sentiment, so I chose two of the preset words – Happy Birthday and Noel. I shrank them slightly from the set size, then cut them from Kanban red mirri board. 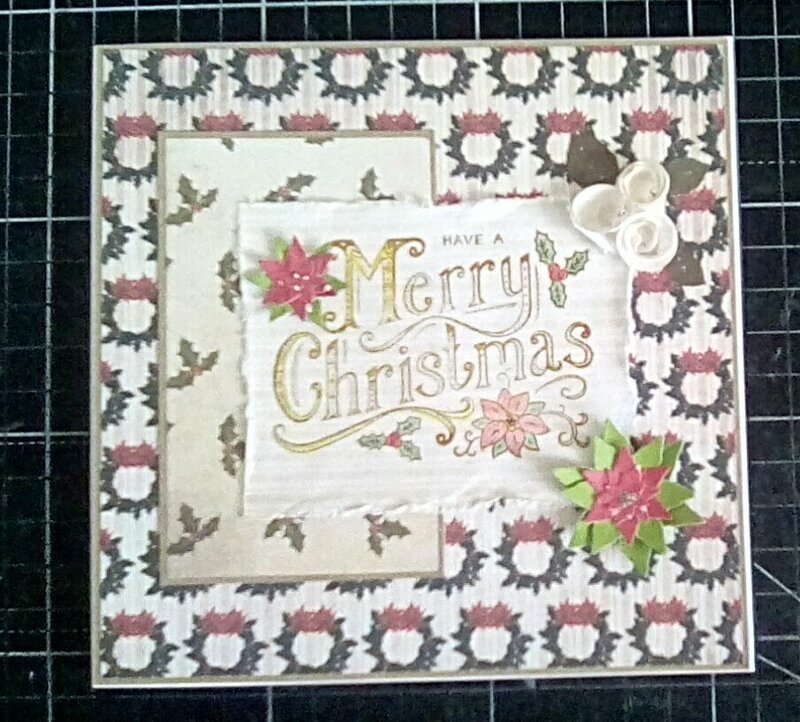 As I was removing the cuts from the sticky mat, I realised that I real like the negatives too, so played with masking tape to keep the bits in place ready to be made into cards. 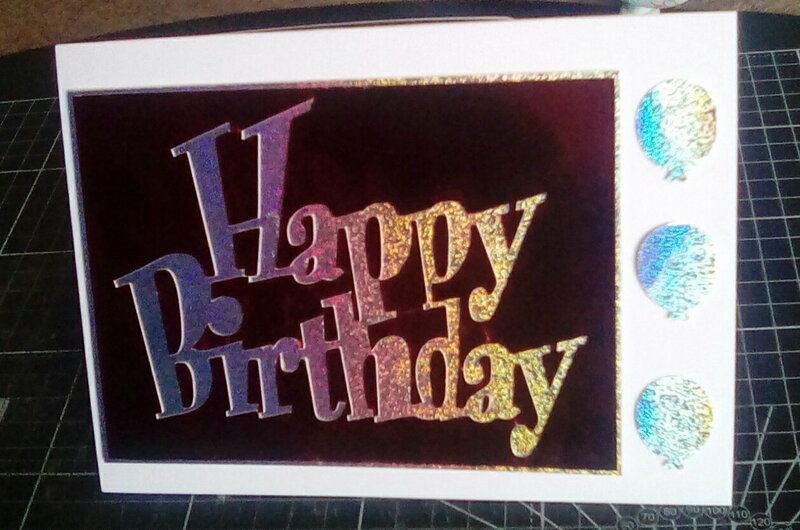 The cut outs, I mounted on Kanban foiled sentiment card with complementary themes – more birthday words and presents. 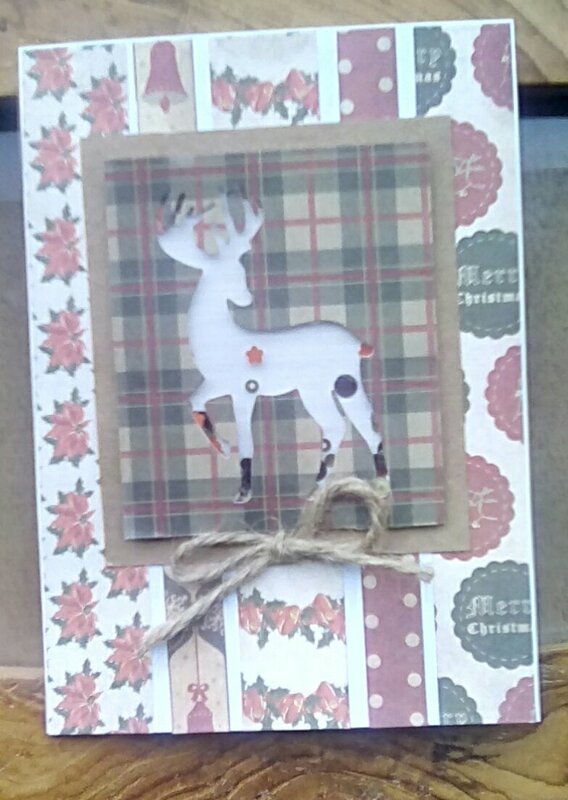 I kept the cards themselves very simple to really show off the sentiment and the shininess. 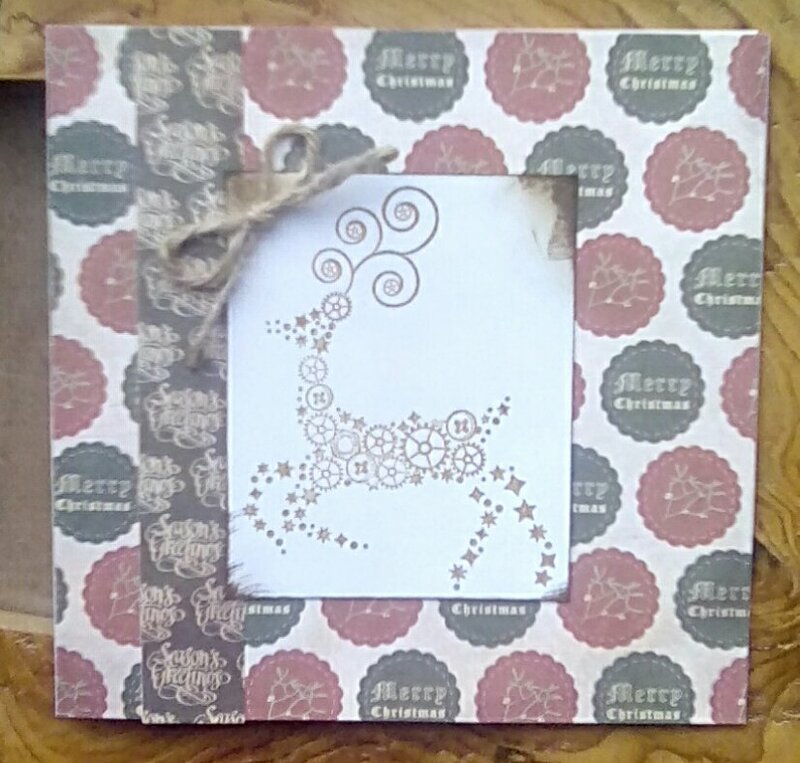 A very simple easel card. 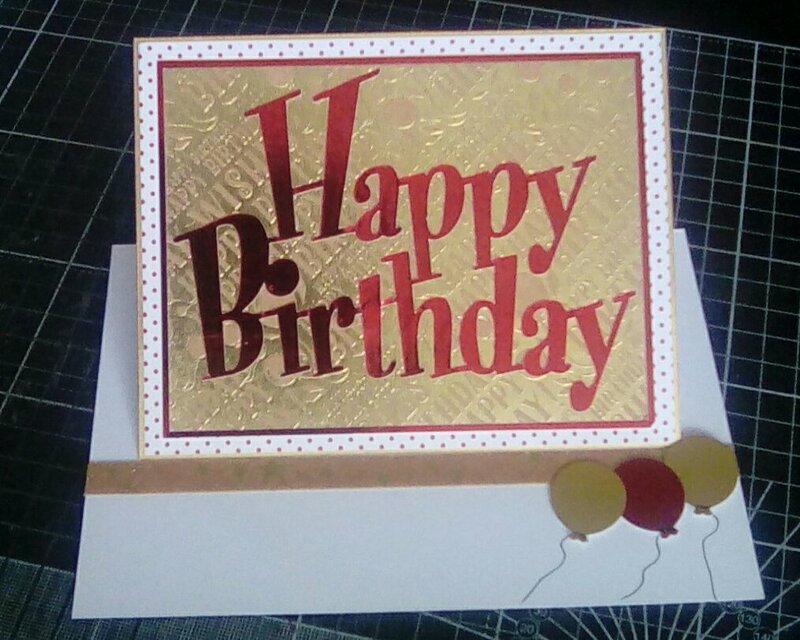 I mounted the Kanban sentiment card on a piece of white paper with red polka dots and then layered this onto a piece of gold card. 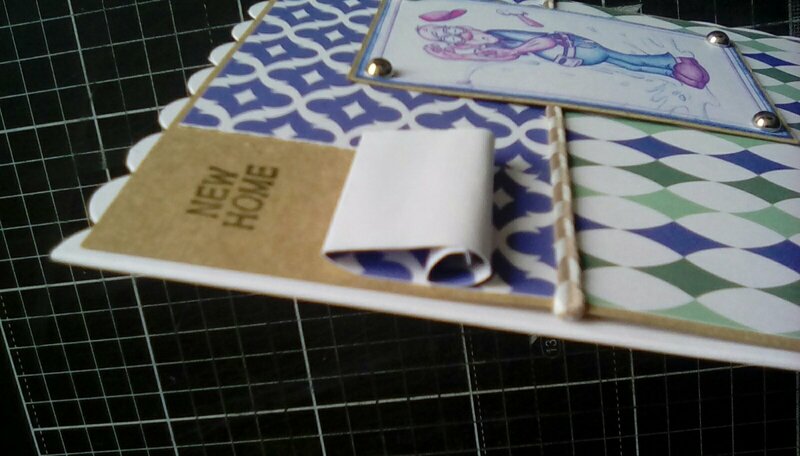 The stopper is a scrap from the Kanban foiled card and three punched balloons. I was chuffed with these, the big bold sentiment appealed. I had a bit of time left, I had intended to play with the machine more, but I used the negatives instead. 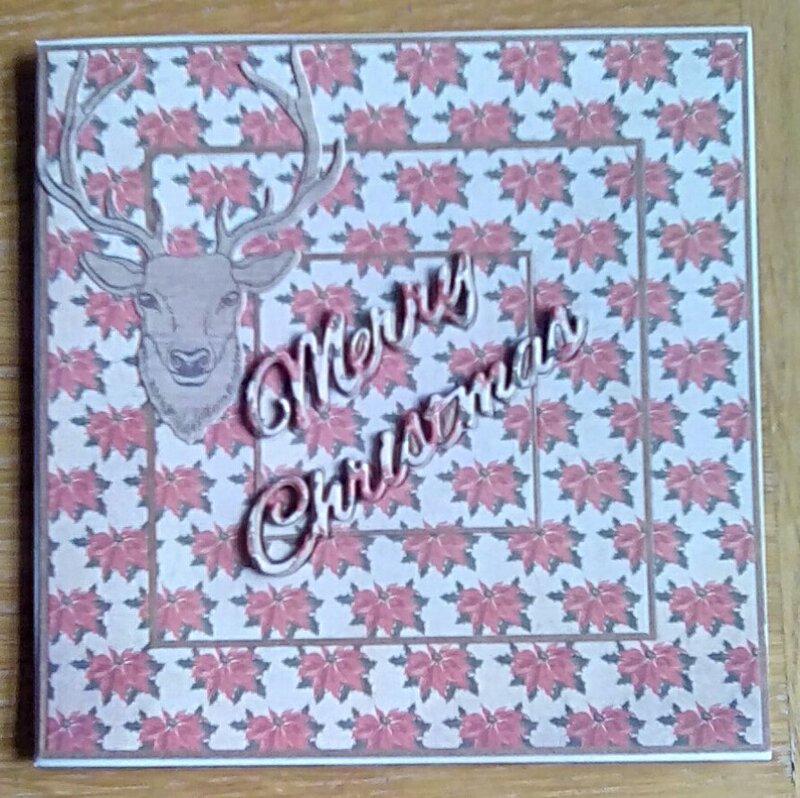 Still simple and very shiny cards, pretty though. 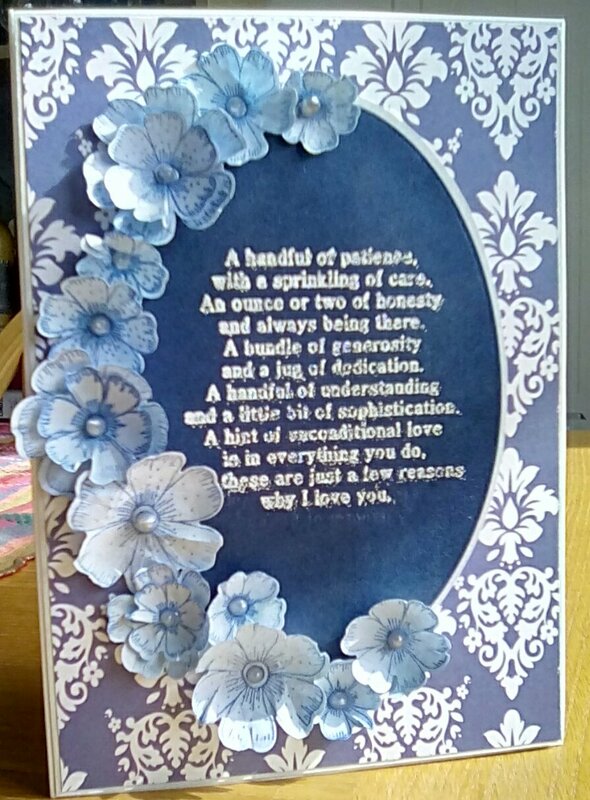 This entry was posted in cards, craft on July 21, 2017 by Isn't She Crafty.